Fed Chair Jerome Powell changed his tune last Wednesday morning, saying rates were much closer to "neutral" than they've been. Not surprisingly, the markets shot higher, with the Dow tacking on 600+ points in its second best day of the year. All three averages gave some of that back immediately on Thursday, but no matter. I've got to hand it to him. Seems even "old dogs can learn new tricks." Powell's language is a marked change from what he said in October, when he noted that rates were a "long way from neutral" and almost singlehandedly cratered U.S. markets. CNBC's Jim Cramer very succinctly noted shortly after the announcement that Powell's "done the homework and he had to change his mind." Like me, Cramer has been harshly critical of the Fed, and for many of the same reasons. Now let's see if Powell can resist meddling with the obvious. Tariffs are still on the table, as are a whole host of other things that could gum up the works. Those include a global economic slowdown, politics, Brexit, a trade war… I could go on, but that wouldn't do anyone any good. Markets can and do change on a dime. Anybody going along for the ride "because everybody else is" will get clobbered (again). And sheep, as the old saying goes, will get slaughtered. Obviously, I don't ever want to see that happen to you. My goal is for you to become a fabulously profitable investor, capable of building the wealth you deserve to live out life on your terms. 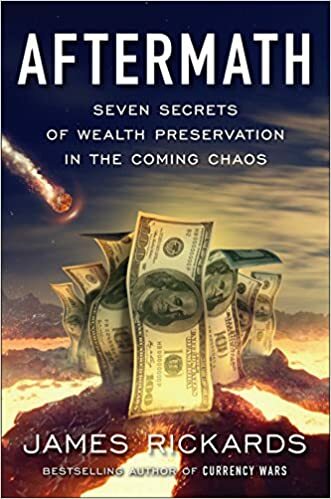 And I started Total Wealth as a way to share the proven tips, tactics, and techniques that will help make that a reality. Especially in circumstances like this, when everybody "knows" something to be true and bets accordingly. Take Powell's comments, for example. Many investors were looking for an excuse to dump stocks coming into Wednesday's trading, and the headlines were filled with perspective on how to avoid the coming bear market. I, on the other hand, was in rally mode. In keeping with something the legendary Jim Rogers told me years ago, "It makes sense to start looking at the other side of the trade when 'everybody' knows something to be true." Honestly, I'm not any smarter than anybody else. I simply knew that nobody wants to go down as being singlehandedly responsible for killing the longest-running bull market in history. Including Fed Chairman Jerome Powell. I totally underestimated the man. He's the first Fed Chair I am aware of who's come even close to saying, "I was wrong" with regard to his prior assessment of rates and business conditions. I'm thinking about October specifically. What he said Wednesday is not only a shift in what he's communicating, but how. “It is the time to buy commodities again. I would say to you, write it down – commodities are going to do better than stocks.” Jim Rogers, who worked with George Soros on the Quantum Fund in the 1970s, has long been a fan of “real assets”, yet most raw-materials prices peaked in 2011 and have since struggled to regain the lost ground. But with US stocks and the tech sector now on the slide, and interest rates rising, Rogers reckons now is the time for the sector to shine, he tells Remy Blaire at Sprott Media. "It is the time to buy commodities again. I would say to you and you can write it down… commodities are going to do better than stocks in the future. I have learned not to pay too much attention to OPEC… I think oil has been down ten days in a row which is one of the few times in history that that’s ever happened. Oil is making a complicated bottom. Jim Rogers, author of "Street Smarts" joins Sprott Media's Remy Blaire at the NASDAQ MarketSite to consider risks and opportunities on the investment horizon. Rogers offers his take on geopolitical and political risk around the globe and discusses the implications of potential scenarios. Tiger Brokers, a Chinese online securities brokerage backed by famous Wall Street investor Jim Rogers, plans to raise around $200 million through a U.S. initial public offering, people with knowledge of the matter told Bloomberg. The Beijing-based Fintech unicorn has appointed investment banks to arrange the stock offering and aims to sell shares as soon as the first quarter of next year, said the unnamed source. Founded by former NetEase developer Wu Tianhua in 2014, the company has received multiple rounds of high-profile investments, including from Wall Street investment guru Jim Rogers, U.S.-based Interactive Brokers Group Inc, Xiaomi Inc., and China's largest angel investment fund, ZhenFund. Tiger Brokers recently closed an $80 million Series C round of financing, bringing its valuation to more than $1 billion, according to a press release in August. The latest round was a co-investment led by Prospect Avenue Capital (PAC), Orient Hontai Capital, and Oceanpine Capital. According to Reuters, Tiger's direct competitor, Futu Securities, has filed a preliminary confidential prospectus with the Securities and Exchange Commission. Futu Securities is backed by internet giant Tencent Holdings Ltd.
Tiger Brokers, through its app Tiger Trade, helps Chinese investors trade U.S. stocks, Hong Kong-listed stocks, and China A shares via the stock connect scheme between Hong Kong and mainland bourses. In addition, the app offers live news feeds and robo-advising wealth management services. As of June 1, only 33 months since its launch, Tiger Brokers had seen its accumulated trading volume reach 100 billion yuan, the company said. Tiger Brokers, the Chinese online brokerage backed by veteran investor Jim Rogers, is planning a U.S. initial public offering that could raise about $200 million, people with knowledge of the matter said. The company, which also counts phone giant Xiaomi Corp. as an investor, has appointed banks to arrange the stock offering, the people said, asking not to be identified because the information is private. Tiger Brokers aims to sell shares as soon as the first quarter of next year, said the people. Futu Securities, a rival online brokerage backed by Tencent Holdings Ltd., has already filed confidentially for a U.S. stock sale, people familiar with the matter said last week. First-time share sales from Chinese companies have raised $7.8 billion in the U.S. this year, more than triple the volume during the same period in 2017, data compiled by Bloomberg show. A representative for Tiger Brokers didn’t immediately respond to an email and phone calls seeking comment. Tiger Brokers helps Chinese investors trade shares in overseas markets including the U.S. and Hong Kong. The firm’s investors include Interactive Brokers Group Inc. and ZhenFund, in addition to Xiaomi and Rogers, its website shows. Tiger Brokers raised a series C financing round in July valuing the company at $1.06 billion, according to a statement at the time. World renowned investor, Jim Rogers, sat down with SBTV at The Safe House and shared his thoughts on the changing fortunes of the US, the coming global financial collapse and the state of the gold & silver markets. Stocks are selling off. Could this be the beginning of the end? Legendary investor Jim Rogers talks to Silver Doctors. How bad will the next crash be? Stocks will fall over 50%, he says, just as it has in previous bear markets. He predicts the next crisis will be the worst in his lifetime. While gold and silver have held up well during the sell-off over the last couple days, Rogers says the precious metals’ could fall. Famed investor Jim Rogers, chairman of Rogers Holdings, told Kitco News that while he is not yet buying gold at current levels, a rebound in the yellow metal could cause it to overheat. “Before this is over, gold could turn into a very overpriced asset, it might even turn into a bubble,” he said. Rogers noted that while he holds physical gold, he would not buy more until prices drop below $1,000 an ounce. “I’m still waiting for $950 an ounce, or something like that,” he said. On U.S. equities, Rogers said that current valuations are overstretched, although stock prices could still climb higher on good news. He added that the next bear market could be “the worst in my lifetime,” and that instead of U.S. stocks, he is looking at investing in Zimbabwe, an emerging market. “I’m buying Zimbabwe. Zimbabwe was ruined for 40 years by a crazy dictator. There’s a new guy, he may be worse, he may be better, but he’s certainly different, so you should think about Zimbabwe,” he said. 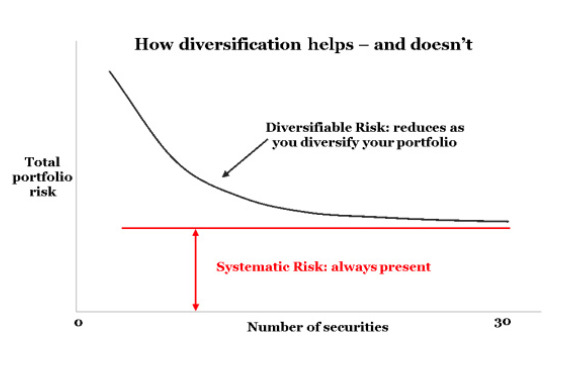 Legendary investor Jim Rogers says the way to riches is not through diversification. Famed investor Jim Rogers, chairman of Rogers Holdings, said in an exclusive interview that while he is not yet buying gold at current levels, a rebound in the yellow metal could cause it to overheat. "Before this is over, gold could turn into a very overpriced asset, it might even turn into a bubble," he said. Rogers noted that while he holds physical gold, he would not buy more until prices drop below $1,000 an ounce. "I'm still waiting for $950 an ounce, or something like that," he said. He added that the next bear market could be "the worst in my lifetime," and that instead of U.S. stocks, he is looking at investing in Zimbabwe, an emerging market. "Zimbabwe was ruined for 40 years by a crazy dictator. There's a new guy, he may be worse, he may be better, but he's certainly different, so you should think about Zimbabwe," he said. How Does Investor Jim Rogers View The World? Jim Rogers is an American businessman and investor, who co-founded the Quantum Fund and created the Rogers International Commodities Index (RICI). From 1970 to 1980, the Quantum Fund zoomed 4,200%, while the S&P climbed 47%. Clearly, the Quantum fund was a huge success and Rogers decided to retire in 1980. Since then, he has continued to manage his own portfolio, served as a professor of finance at the Columbia University Graduate School of Business and became a favorite financial commentator with the media. Rogers gave a presentation at the recent 2018 San Francisco MoneyShow entitled, “How I See the World and What I Am Doing About It.” Rogers offered the audience invaluable information about the economy and where it may be heading. Rogers currently lives in Singapore and is raising his two daughters there. He said that the future of the global economy relies on Asia. Specially, the 21st century is the century of China, he added. As for the United States, interest rates are the lowest they have ever been. Once interest rates go back to normal levels, Rogers predicted that the next bear market will hit. Before that event occurs, Rogers opined that people should invest in the agriculture industry. He thinks that buying land in agricultural regions is a smart idea. People can use this land to farm, but on top of that, can use the land to set up shops and homes for farmers. Rogers feels that farmers are going to be rich in the future. Therefore, having any type of land that relates to the farming industry is a good investment, according to Rogers. Jim Rogers shares his thoughts on cryptocurrency, the world economy and the upcoming financial crisis; as well as what you can do to prepare for it. Despite my technical difficulties I had a great interview with Jim Rogers. We talk about the coming crash he sees, gold, bitcoin and more! “Before this is over, gold could turn into a very overpriced asset, it might even turn into a bubble,” he said. Rogers noted that while he holds physical gold, he would not buy more until prices drop below $1,000 an ounce. “I’m still waiting for $950 an ounce, or something like that,” he said. On U.S. equities, Rogers said that current valuations are overstretched, although stock prices could still climb higher on good news. In this clip Jim tells us what he thinks about the long-term safe-haven status of the US dollar and what he sees as the future for the Euro currency. 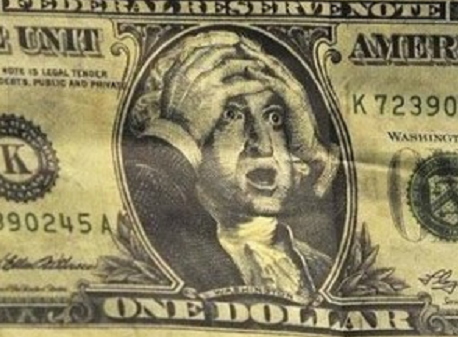 Jim also give us his opinion on what he suspects might be the currency to emerge as the only viable but necessary competition to the "highly flawed" US dollar as the world's reserve currency. We are delighted to announce a very special guest for our next episode of the Goldnomics Podcast, due for release later this week. We recently had the opportunity to speak with the legendary investor and adventure capitalist Jim Rogers. Jim is an American businessman, investor, traveler, financial commentator and author. He is the Chairman of Rogers Holdings and Beeland Interests, Inc. He was the co-founder of the Quantum Fund and creator of the Rogers International Commodities Index. From his home in Singapore, Jim is in conversation with Mark O'Byrne, GoldCore's Director of Research, discussing the implications for savers and investors of the developments in geopolitics and financial markets. Jim gives us his opinion on why gold is still such a necessary component of every portfolio and in this preview of the full episode of the Goldnomics Podcast he talks about how certain actions by the current U.S. administration could be Making China Great Again! We're currently working on putting the final finishing touches to the full episode, so keep ann eye out for it towards the end of the week. But for now enjoy the perspective of one of the world's greatest investors. But Jim Rogers disagrees. "The expression on Wall Street is, don't put all of your eggs in one basket. Ha! You should put all of your eggs in one basket," he told me. "But be sure you've got the right basket and make sure you watch the basket very, very carefully." Now, of course this strategy of putting all your eggs in one basket… but making sure it's the right basket, is not for everyone. It's a high risk, high reward strategy. And Jim acknowledges that. "If you don't get it right, you're going to lose everything. But if you get it right, you're going to get very rich. And by the way, don't think it's easy getting it right. It's not easy. It takes a lot of insight and work and everything else. But, if you get it right, you'll be very rich." Jim Rogers, the 75-year-old globe-trotting chairman of Rogers Holdings, reckons that South Korea could be a bright spot in an otherwise grim-looking financial landscape. And it’s all thanks to its troublesome neighbour to the north. Rogers is convinced that North Korea will open up for business with the rest of the world. “The last time I visited the North, I went to market and there were hundreds of stalls,” he tells The Korea Times, “selling everything you can imagine. So they know how to be entrepreneurs.” And if North Korea does open up, then this will provide huge opportunities for South Korean businesses, he told investors at a talk in Seoul. North Korea offers “disciplined, educated, very cheap” labour and plenty of natural resources, while South Korea can provide “capital, management ability, and expertise”. 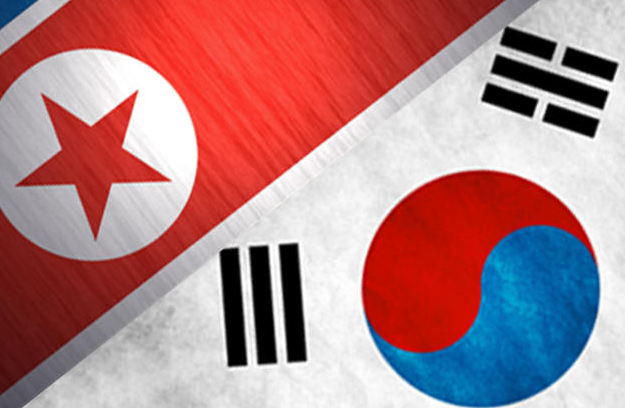 A combination of the two could make South Korea “the most exciting country in the world over the next ten to 20 years”. It’s a good thing that Rogers is so upbeat on at least one market, because he is otherwise downbeat. “Since 2008, debt everywhere has gone up a lot.” China in particular is in no position to repeat the huge monetary stimulus that helped to pull the world out of the worst phase of the financial crisis in 2008/2009. 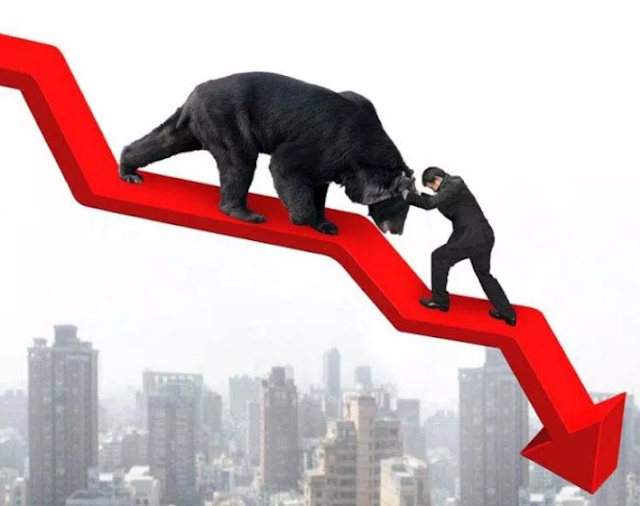 “Ultimately we are going to have a very serious bear market and economic dislocations… it is going to be the worst in my lifetime,” he said, echoing warnings he has made previously. Do you still see a rout in the making in world markets? The next one is going to be the worst correction in my lifetime. In 2008, we had a problem because of too much debt, but now the debt in the world is much, much worse. Next time, its going to be much worse when we have such an economic problem. In 2007, when Iceland went bankrupt, nobody had ever heard of it. Then it was the Lehman Brothers that went bankrupt. It was then that people knew that there was a problem. We are not looking at the small things. Many Indian banks have a problem, and people are not paying much attention to it. There have been bankruptcies in China. Some things can happen, but we don’t know when. I do know we are closer. Which asset class are you most bullish on? What are you bearish on? I am most bullish on probably agriculture commodities, Russian government bonds in roubles, Chinese shares, Japanese shares. Some of these assets are depressed and have a chance to rise. I am most bearish on FANG (Facebook, Amazon, Netflix and Google, which is now Alphabet) stocks in America. They cannot skyrocket from here. They are certainly turning into a bubble. Just because I said I am not optimistic, doesn’t mean I am going to sell them short, because bubbles really do strange things. Which lesser-known markets have the potential to make it big? Zimbabwe could be one. It has been a disaster for some years. We are going to have a new government next week. Colombia is very exciting, too. Indian markets are at a record high. What’s your take? 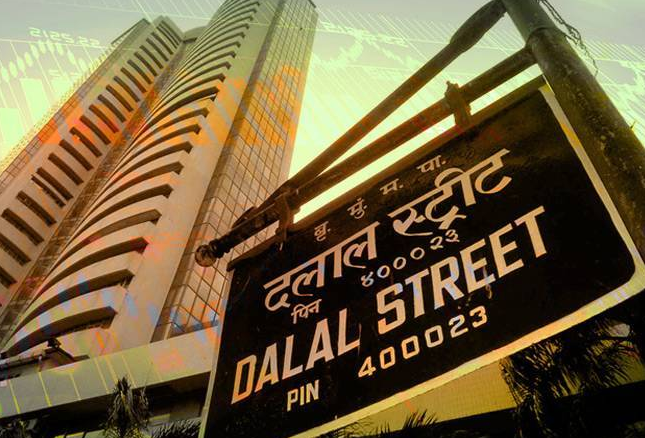 Did you invest in India after exiting in 2015? No. I have not invested in the Indian markets. I should have, everybody should have, but I have missed it. I don’t like to buy anything at all-time highs. So, I am doing nothing. I am watching. I am not going to jump onto a moving bus, because if you do so, you only get hurt. There is a lot of easy money in the world, especially in India, and it is going into the market. That is always worrisome, because when the rest of the world starts having problems, India will have a problem, too. 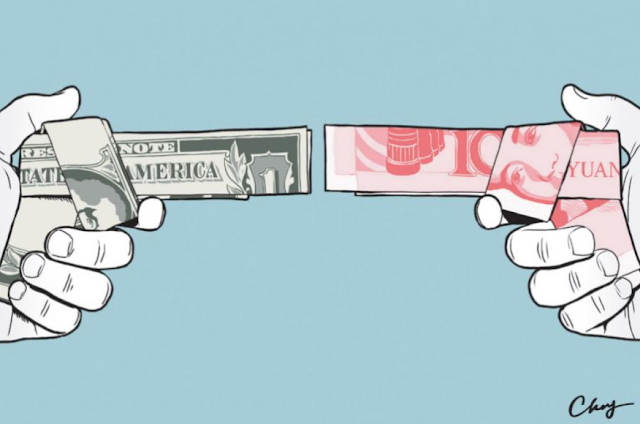 What do you think of the ongoing trade war situation? What could be the likely outcome? Something is going to happen to make it sound better. Mr Trump or somebody will put together something that will sound good. But next year, or the year after, when economies around the world have a problem, that is when he (Trump) is going to lash out and have a real trade war, and that will make the next economic problem even worse. You should only invest in things that you, yourself, know about. The worst mistake is being invested in something you don't really know about, because when things start going wrong, you really get whipsawed and get hurt. If you know a lot about investing, you might sell short, you might buy agriculture, or you might buy some countries that will not suffer so badly. There are ways to get through this. I would look at the ones that are the most depressed; something like sugar is probably going to come through OK just because it's so beaten up. It's down dramatically, more than 70% from its highs, so something like is probably going to do OK.
Russia will probably be fine, compared to most of the world, in the next bear market. Venezuela will probably do OK, only because it's been a total disaster. Same thing with Colombia. The Treasury market bottomed in 1981 and has been going up ever since, until the last year or two. In other words, we had a 36-year bull market in Treasuries that’s coming to an end or may have already ended. I wouldn't want to put money in U.S. Treasuries, because in the past America has had multidecade bull markets and multidecade bear markets. I suspect we're now in a multidecade bear market for Treasuries. These things always start small and with nobody noticing. That happened slowly over a year. That's probably what's going to happen this time. It may have already started. There are companies going bankrupt in China. The whole banking system in Latvia collapsed recently. Who knows what will cause it? I don't. Rising interest rates, trade wars, real wars— many things could cause it. But it will be gradual. The worst collapse in my lifetime doesn't happen in a day. It will evolve over a year or two. Historically, we’ve always had economic setbacks and bear markets. In 2008, we had a problem because of too much debt worldwide. Since then, the amount of debt has skyrocketed everywhere in the world. Why would people think the next collapse—whenever it comes—won’t be worse than the last one? I have enormous confidence. When the bear market comes, it has to be the worst in my lifetime, because the debt is much, much higher than it's ever been in history. Plus, there are dramatic changes taking place. Retail shops are liquidating all over the U.S. Somebody is going to be left holding a very big bag eventually as those stores go out of business. Many pension plans are under water. The state of Illinois, Connecticut and several others are essentially bankrupt now. There are many things that are going to be very, very serious going forward. Jim Rogers is an investing legend, a world record holder and a best-selling author. He co-founded the legendary Quantum Fund with George Soros, which generated returns of more than 4,200 percent over ten years. Jim retired at 37, and later drove around the world… twice. He’s one of the founding fathers of the boots-on-the-ground approach to investing in emerging and frontier markets around the world. I recently sat down with Jim – a fellow resident of Singapore – to talk about markets. Below is an extract of that conversation, about biggest threats investors should be worried about today… and how they should protect themselves. Kim: Jim, what do you view as the biggest threats to markets? And the central bank in America, they’ve brought up gigantic debts on their balance sheet, they’ve push interest rates to the lowest in recorded history. Interest rates have never been this low anywhere in the world. With the result that debt has skyrocketed everywhere in the world. Interest rates are going to go higher again, they’ve already started. Now, the central bank is made of bureaucrats and academics, they don’t know what they’re doing. They will panic, they will try to rescue us. I don’t know what they’ll do, print more money, buy assets, whatever they’re going to do is not going to be the right thing. And so we’re going to have worse problems. I hope I can survive the next bear market because it’s going to be horrendous and it’s going to be a big mess. It’s going to be the worst in my lifetime. She said we’re not going to have bear market. I know we are. 2008 we had a bear market, it was horrible because of too much debt. Well, Kim, debt all over the world is much, much, much higher now. People have talked about austerity, nobody’s practicing austerity. It’s going to be a horrible nightmare. And I hope I survive it, I hope we all survive. But I know just having read enough history that a lot of people are not going to survive it. Jim Rogers is an investment legend. 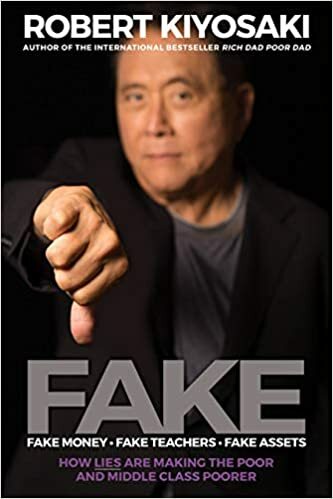 His Quantum Fund, co-founded with George Soros, generated returns of more than four-thousand 200 percent between the 1970s and 1980s. He is also the developer of the Rogers International Commodity Index. Rogers is now eyeing the Korean Peninsula. In an interview with KBS World Radio, the famed investor said he believes North and South Korea will merge soon, and when that happens, a united Korea will be the most exciting country in the world. Rogers' comment comes on the heels of remarks by U.S. Secretary of State Mike Pompeo last week that the U.S. is prepared to work with the North to achieve prosperity on par with South Korea. In relation to the frenzy which swept South Korea after the explosion of Bitcoin, Rogers was skeptical of the lasting power of cryptocurrencies, predicting that most, if not all of them, will disappear. However, he was much more optimistic about blockchain, the technology devised for digital currencies. Legendary investor Jim Rogers says market participants should enjoy the rally in stocks while it lasts, issuing a dire warning that "the worst correction of his lifetime" is coming. U.S. stocks opened higher on Monday as the corporate earnings season continued, with Bank of America reporting better-than-expected quarterly results. The Dow Jones Industrial Average rose 182 points, or 0.75%, to 24,542, the S&P 500 was up 0.6% and the Nasdaq rose 0.35%. Leading the Dow higher were Merck & Co. (MRK) and UnitedHealth Group Inc. (UNH) . "Soon something's going to happen that will make everyone happy again and the market will go up one more time, and that will probably be the last hoorah. Next year will be not a lot of fun," Rogers said in an interview with Kitco News on Monday. He added, "It's been 10 years since we have had a bear market. That is very, very unusual, so the next bear market is going to be the worst in my lifetime." When promoted to quantify the correction, Rogers said it would easily be over 50%. Turning to gold, last Wednesday the metal reached its highest level last since August 2016 as jitters grew over Syria and Russia. Many analysts expected the metal to start the week strong given the geopolitical tensions, yet gold prices were trading near unchanged in early U.S. dealings Monday. June Comex gold futures were last down 10 cents an ounce to $1,347.80. "When there is a lot of bad news and something like gold doesn't go up, it means it's not going to go up - the correction is not over for gold," Rogers explained. "If gold goes to $1,000, I hope I am smart enough to buy a lot of it. Because, before this is over, gold is going to go through the roof - when people lose confidence in governments and paper money, they always buy gold and silver, whether they should, is irrelevant, they always have," Rogers, the 75-year-old chairman of Rogers Holdings Inc., said. Rogers Holdings Chairman Jim Rogers on the state of the markets and the future of blockchain. Legendary investor and financial market expert, Jim Rogers says the next bear market could start in 2019 and is going to be the worst in our lifetime. Jim also talks about the shine of investing in agriculture, Russia, China and Japan. “Soon something’s going to happen that will make everyone happy again and the market will go up one more time, and that will probably be the last hoorah. Next year will be not a lot of fun,” Rogers said in an interview with Kitco News on Monday. He added, "It’s been ten years since we have had a bear market, that is very, very unusual so the next bear market is going to be the worst in my lifetime." Jim Rogers sits down with the Silver Doctors and talks about a dire warning. He sees gold correcting lower, much lower. However ultimately, this will be a huge buying opportunity. Gold is seen as a hedge against inflation. With inflation rearing its head, gold bugs are turning bullish on the precious metal. Gold futures, at the time of writing, were trading at US$1,331.20 per ounce, 6% higher than a year ago, when it was US$1,258.1 per ounce. IQI Global chief economist Shan Saeed says the outlook for gold is buoyant. “I can foresee gold prices heading north in the range of US$1,300 to US$1,700 per ounce… US$1,365 per ounce is an important level and the next point to touch is US$1,425 per ounce moving forward,” he tells The Edge. 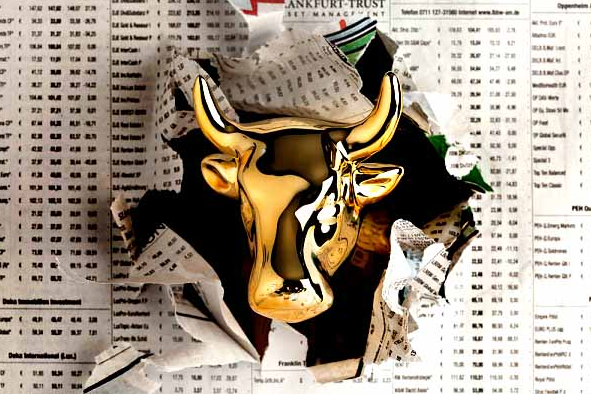 Saeed says this is the third bull run for gold in financial markets. 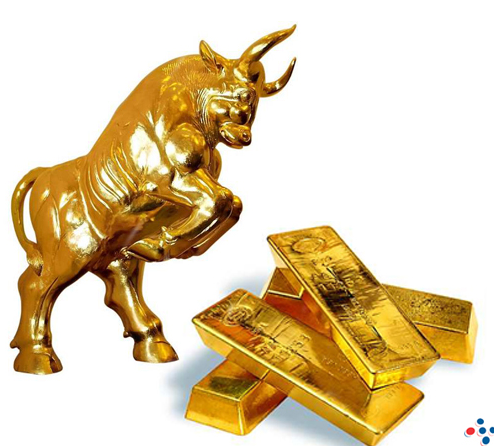 Spot gold prices have risen 24% from US1,069.29 per ounce on Dec 1, 2015, to US$1,329.19 per ounce on Feb 20. Gold’s inverse relationship with the US dollar is one that is hard to disregard, says OCBC Bank economist Barnabas Gan. “The 30-day correlation between the said assets remain strong at -0.91 in early February, suggesting that gold’s climb has largely been attributed to the weaker greenback. While further dollar weakness into 2018 could still come to pass, gold’s trend with the dollar could potentially weaken as global economic conditions evolve into the year. “In a nutshell, the rosy economic outlook, tame inflationary backdrop and potentially higher interest rates in both developed and Asian economies are persuasive factors to drag gold prices lower. As such, we keep our gold outlook unchanged at US$1,100/oz at year-end,” he says in a Feb 14 note. INVESTMENT guru Jim Rogers implied that commodities and equities have an inverse relationship when he said “commodities tend to zig when the equity market zags”. The simple logic to that — from the manufacturers’ perspective at least — would be that higher commodity prices translate into higher input costs and thus lower profitability for a company, which tends to result in a loss of investor confidence and interest to invest in such firms altogether. However, when there is impetus for growth in the economy, then commodities and equities could end up moving in the same direction. And that is exactly what happened on Jan 26, when the Dow Jones Industrial Average hit an all-time high of 26,616.71 points and the Bloomberg Commodity Index (BCOM) touched 90.79 points — its highest level since August 2015. The BCOM tracks 22 commodities, including gold, crude oil, copper, corn, soybean, aluminium, nickel, zinc and wheat. Gold holds the highest weightage in the index at 12%, followed by natural gas (7.58%) and Brent crude oil (7.23%). With the BCOM hitting its highest level in 29 months in January, coupled with the International Monetary Fund revising its global growth forecast to 3.9% from an earlier 3.7%, a question to ask is whether an uptick for commodities is in store. Furthermore, rising inflation and a weaker US dollar — two factors prevalent this year — are positive for investments in commodities. These, coupled with volatility in stocks and higher interest rates ahead, have commodity bulls calling for a “commodity super cycle”. Goldman Sachs is also reported to be at its most bullish on commodities since the end of the super cycle in 2008. In a report this month, the bank’s head of global commodity research, Jeffrey Currie, says the 3Rs — reflation, reconvergence of global growth and releveraging — will drive commodity prices higher. According to Currie, most commodity prices reflated last year, supported by a weaker US dollar, supply controls and global growth. This allowed debt-laden producers to repay loans, clean up their balance sheets and releverage. This led to emerging economies catching up — or reconverging — with developed ones. Goldman is not alone. JP Morgan is also bullish on commodities amid inflationary pressure, as evidenced by recent US wage data and core consumer price inflation. Recall that commodities last had a good run in the early 2000s — its so-called “super cycle”, with the BCOM seeing a more than two-fold increase from 89.03 points on Dec 31, 2001, to 233.03 points on June 30, 2008 — before dropping 53% to 109.78 points on March 31, 2009. OCBC Bank economist Barnabas Gan says a bullish view on commodity prices is not unfounded going into 2018. “Global economic strength is expected to stay on track into the year, albeit some moderation in trade and manufacturing momentum given 2017’s high base print,” he writes in a Feb 14 note, adding that this suggests that demand for commodities will stay supported this year. However, he says, views that a commodity super cycle is just around the corner can be a little too premature at this juncture. “Historically, the super cycle seen in the 2000s was led by two key factors. 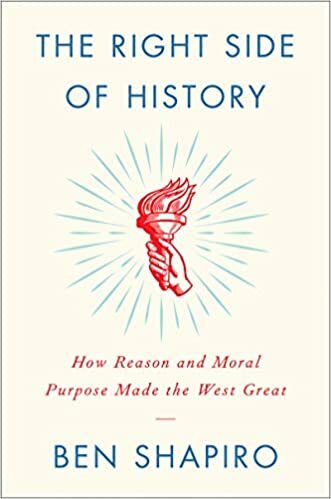 One, it occurred immediately after the Great Commodities Depression of the 1980s and 1990s, in which there was a huge pent-up commodity demand,” he says. “Two, with increased globalisation and the emergence of trade deals across trading countries, a commodity boom emerged in the two decades following the depression. On this, there was a sudden and arguably unprecedented rise in commodity demand, especially from emerging markets. However, some experts say there are enough signs at present, such as rising government bond yields, to support an uptick in commodities. 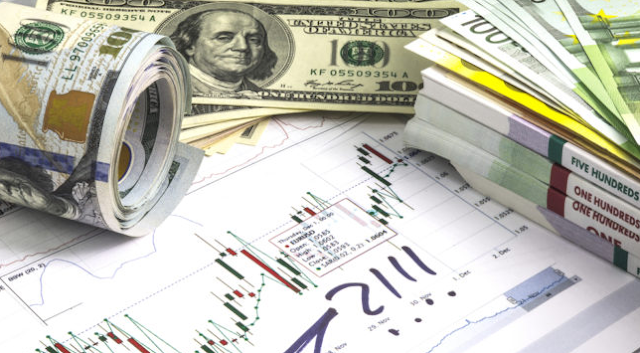 Shelley Goldberg, founder and principal of US-based financial advisory firm Invest-With-Purpose, says in a recent piece on Bloomberg that the 10-year US Treasury yield is one of the best metrics for predicting the direction of commodity prices. “Treasury yields show how investors feel about the economy in the future, which influences spending habits today. Rising yields are generally a reflection of a stronger economy and heightened confidence. Manufacturers then build plants and grow inventories to respond to greater demand. “Its [the yield’s] increase in recent months indicates that commodities have more room on the upside,” she says. The 10-year US Treasury yield rose to its highest level this year on Feb 21 at 2.95%. It was also the highest yield achieved since Jan 9, 2014, at 2.9652%. The BCOM at the time was understandably higher at 122.33 points given the higher crude oil prices then. Oil prices began their decline in mid-2014, bringing the BCOM down with them. With oil prices showing some strength of late, is it finally commodities’ turn to do well, led by oil, after years of being in the doldrums? If so, where are the bright spots in commodities? Jim Rogers believes global markets will fall from these levels and may rally for a while if someone says something nice, but things will get much worse by end of this year and next year as interest rates will go higher and Trump administration will continue with trade war. Rogers is of the view the US is not prepared for the trade war. 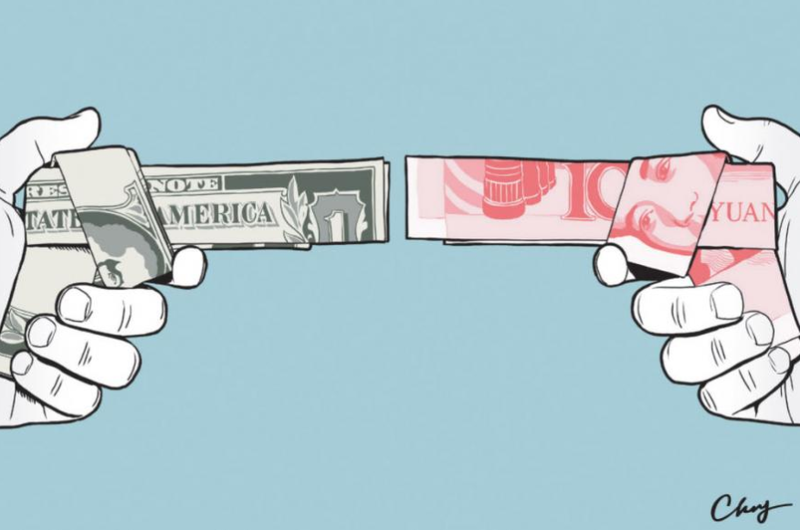 "China is in better position than the US, at least financially, and China doesn't want a trade war. Only Washington wants a trade war," he said. Nobody wins a trade war, said ace investor Jim Rogers, Chairman, Rogers Holdings in an exclusive chat with Zee Business when questioned about what kind of impact will US president Donald Trump's rhetoric on trade may have on India and the wider world. Rogers added that it is only Washington which wants a trade war. Jim Rogers also said that India may not have a direct impact of the same, but it cannot stand alone if giants like US, China, Japan, Europe and others have problems. "Washington very much wants a trade war. Donald Trump is in favour of trade war. There could be a time when they slow down, but they will fall back to trade war if things go bad," he warned. The expert also noted that India cannot stay decoupled from what is happening around the world. "India is a wonderful country, but it can't stand alone if giants around it, from Europe, America, China, to Japan will have problems," he said. Expectedly, so, China retaliated to US action. To which Jim Rogers said: If somebody hits you on the face, either you run away or hit back. Most people hit back. This is what China did. Of course, this is not good for the world. Neither for America, China, India or any country. Unfortunately, if later in year or next year if we have more economic problems, Washington will hit back again. Nobody wins a trade war, but who cares! They will anyway do it. 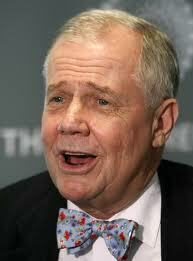 From the markets perspective, Jim Rogers is worried more about the next year. "I'm not worried as much about this year as 2019 and 2020, because by next year the ongoing problems will snowball. We will have Congress and Senate elections Fed will have hiked rates, trade war will have escalated and not to mention economic challenges," he said. Rogers doesn't believe the new US Fed Chair Jerome Powell will introduce any fundamental changes in Fed policy. "Powell is one of them. He has been with Fed for long," he said. Jim Rogers even feels the US Fed may again lower interest rates if it sees the markets are being affected by the ongoing situation. Veteran investor Jim Rogers is already predicting the worst bear market for stocks in his lifetime. And that’s before you figure in a trade war. Rogers spoke as the prospects for a full-blown trade spat looked to be increasing. President Donald Trump plans as much as $60 billion of tariffs on Chinese products as early as this week to swat Beijing for alleged intellectual-property theft, according to two people familiar with the matter. Meanwhile, China is preparing to hit back with levies aimed at industries and states where Trump’s supporters are found, the Wall Street Journal reported, citing unidentified people familiar with the matter. With U.S. and European stock markets near historical highs, Rogers is looking for investments in Russia, China, Japan or Vietnam, he said. 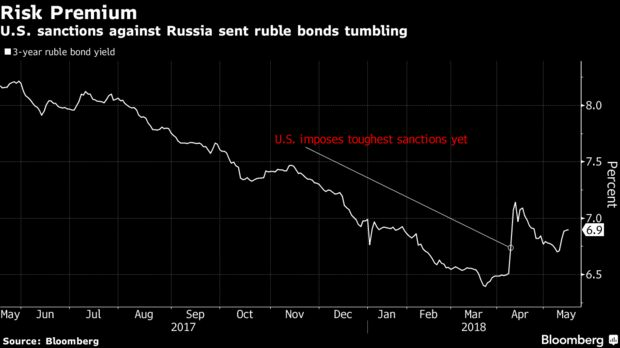 He bought short-term local Russian government bonds on Wednesday, he said, citing the appeal of the stable ruble and high real rates. He’s also invested in the shares of Russian companies Qiwi Plc and Rosinter Restaurants Holding. Chairman of Rogers Holdings, Jim Rogers says that he will not invest in India for now. The good news for the Indian market is that there is a general election coming up in 2019. Narendra Modi will do everything he can to win it. This means giving out sops and adopting populist measures as well. On the other hand, the Indian stock market has been on a strong footing since quite some time, but you now have a capital gains tax on equities to deal with as well. Historically, we have seen if you tax something, whether it is gold, cars or any other asset, the demand gets supressed for that item. So, the Indian stock market is more vulnerable than any other global stock market now due to the introduction of LTCG.